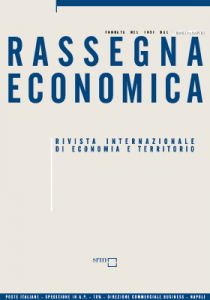 “Rassegna Economica” (Economic Review) is the first and the oldest review already published in banking economy. Founded in 1931 by Banco di Napoli, it has been the ante litteram tool for an activity of a highly specialized economic and financial communication. Since the date of its first issue it has been edited by the Center for Studies and Researches of Banco di Napoli, and, since 2003 by SRM. It is a six-monthly periodical review whose aim is to offer an innovative point of view in banking, entrepreneurial and economic topics especially related to regional development. 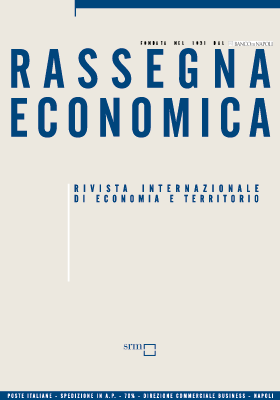 Since 1991, in the view of the new context of global market and European Union, it has included a detailed section focused on the analysis of the innovative finance and of the emerging national economic realities, thanks to the collaboration of world-renown authors (Galbraith, Buchanan, Klein, Becker, Tobin). 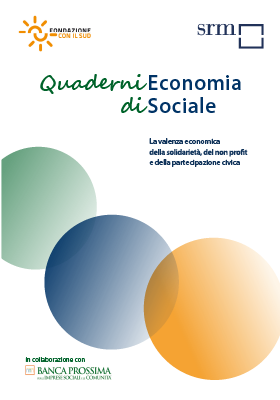 A recent innovation is the publication of monographic papers on a broad range of economic and financial topics and of “Quaderni di Ricerca”, supplements containing the scientific contributions of the academic world. Scientific Advisory Committee: Cesare Imbriani (President), Francesco Saverio Coppola, Gregorio de Felice, Stefano Monferrà, Marco Musella. This review is edited in Italian language with summaries in English. ISSN 0390-010X – Court of Naples (Record number 178, 15th July 1955). “Dossier Unione Europea” is a six monthly review edited by SRM for monitoring the European policies and funds impact on regional economy especially for Southern Italy’s economic dimension. Founded in 1993 it has received a growing broad consensus amongst public and private operators, becoming in 1999 an official registered review. It is published twice a year in digital version. 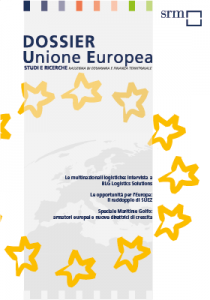 The “Dossier Unione Europea” proposes articles, analyses, data and interviews aimed at deepening topics referred to enterprises, infrastructures and public policies, from the EU point of view, in the perspective of their impact on local development, with particular attention to European funds. ISSN 2421-0315 – Court of Naples (Record number 37, 29th July 2015).